PSU Gorilla Dash PSU’s ROTC Gorilla Dash is an adult 5K obstacle course that will consist of over 30 obstacles to be navigated in order to complete the course. This event is open to all skill levels for ages 14 and older regardless of prior experience! Anyone and everyone is welcome! 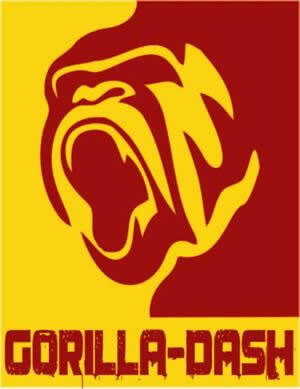 No reviews yet for Pittsburg Kansas PSU Gorilla Dash 2019. Click here to be the first! PSU's ROTC Gorilla Dash is an adult 5K obstacle course that will consist of over 30 obstacles to be navigated in order to complete the course. This event is open to all skill levels for ages 14 and older regardless of prior experience! Anyone and everyone is welcome! Divisions include: Male, Female, Coed, Public Service (EMT, Fire, Police, Armed Services, etc. ), Student Organizations (Sports Teams, Fraternities, Sororities, etc.) and High School. All proceeds to benefit the SFC Forrest Robertson Scholarship. This scholarship honors SFC Forrest Robertson, a former PSU Military Science instructor and alumnus who was killed in Afghanistan in November 2013. This scholarship now provides much needed assistance to current ROTC cadets attending Pittsburg State University. Please see our obstacle course race discount & promotion page for all the latest discounts, promos, promotions, discount codes, and coupon codes for Pittsburg Kansas PSU Gorilla Dash 2019. There also may be one listed at the top of this page.